"Social Media Marketing Tips for Business Success!" 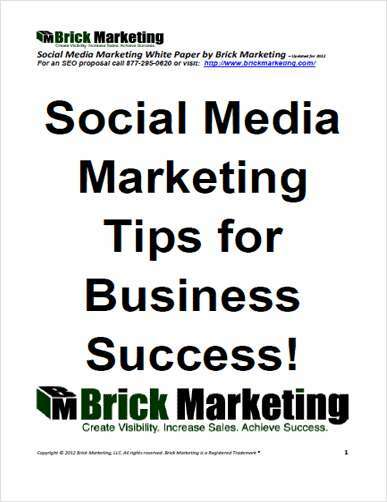 Free White Paper: "Social Media Marketing Tips for Business Success!" Download this free social media marketing white paper that will provide useful tips about how to improve your overall business social media marketing program.